Hydrolyzed collagen peptides are the same collagen peptides found naturally in bones, skin and cartilage. It is a bioactive product containing over 90% protein and is easily assimilated by the body. The rapid absorption and distinctive amino acid groups in this formula can positively impact a large number of metabolic pathways. Hydrolyzed collagen peptides help regulate the body's metabolism by providing protein of low molecular weight that is quickly absorbed in the digestive tract. 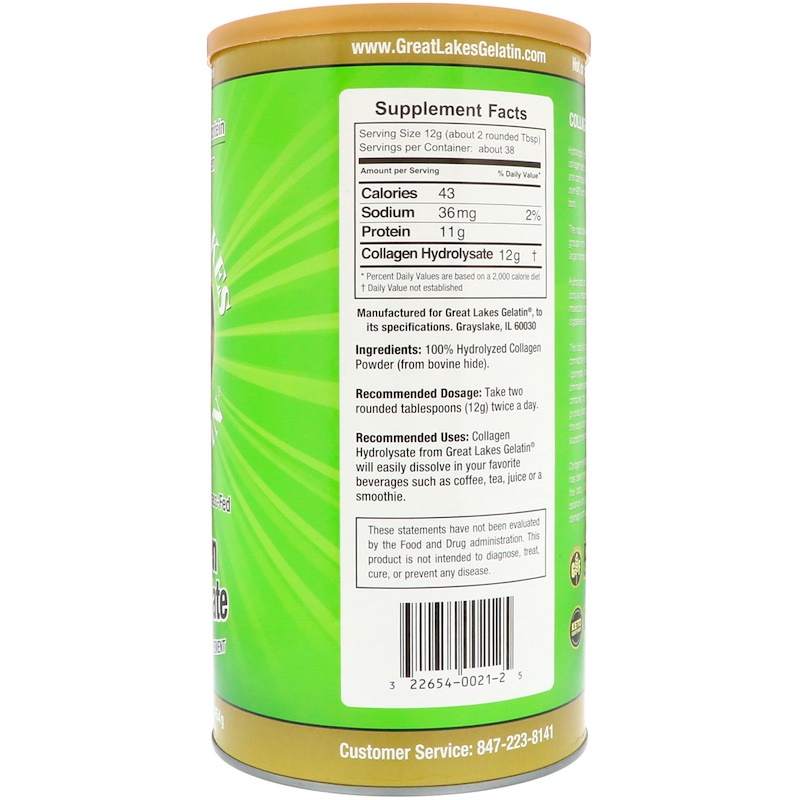 Collagen Hydrolysate will not congeal because it has been hydrolyzed for quick assimilation into the body. Collagen is important to nitrogen balance and can prevent age-related cartilage damage and collagen loss. It is an excellent product for those with a sedentary lifestyle who may suffer from repetitive joint pain or discomfort. 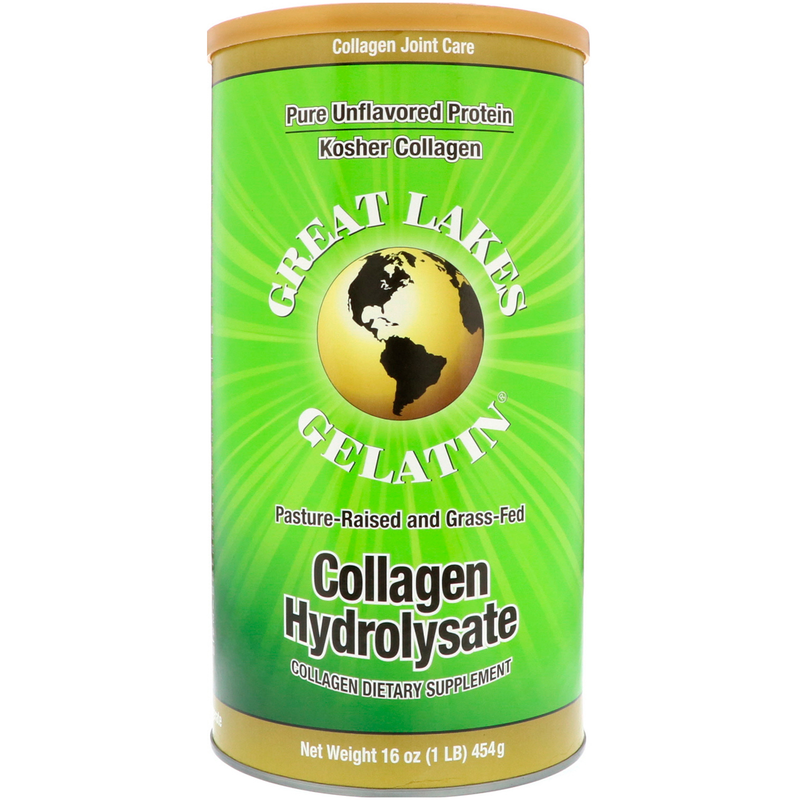 Collagen Hydrolysate from Great Lakes Gelatin will easily dissolve in your favorite beverages such as coffee, tea, juice or a smoothie. Room temperature liquids: Pour two tablespoons into a glass of your favourite juice or drink. Stir and enjoy. While Salvacare strives to ensure the accuracy of its product images and information, some manufacturing changes to packaging and/or ingredients may be pending update on our site. Although items may occasionally ship with alternate packaging, freshness is always guaranteed. We recommend that you read labels, warnings and directions of all products before use and not rely solely on the information provided by Salvacare.